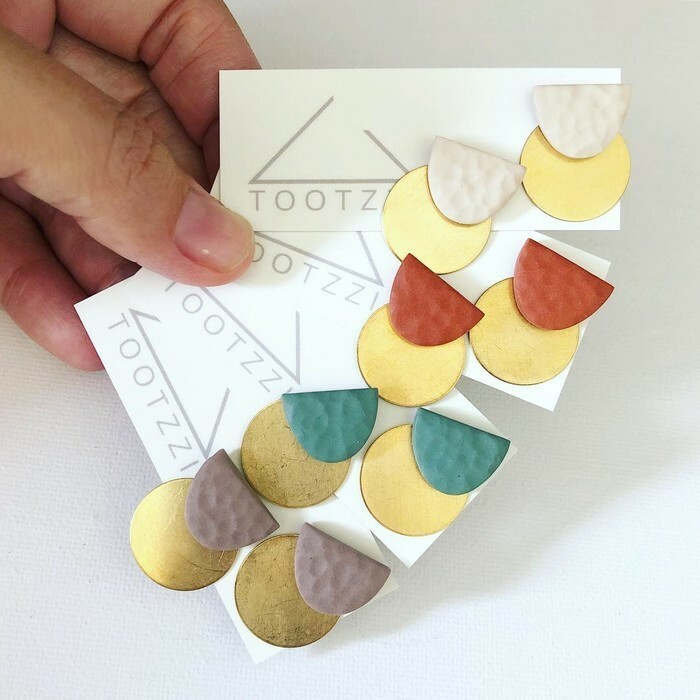 FREE SHIPPING for all Australian orders $50+ | Use the code "FREESHIP"
A very boho-beachy style, setting you up for Summer! 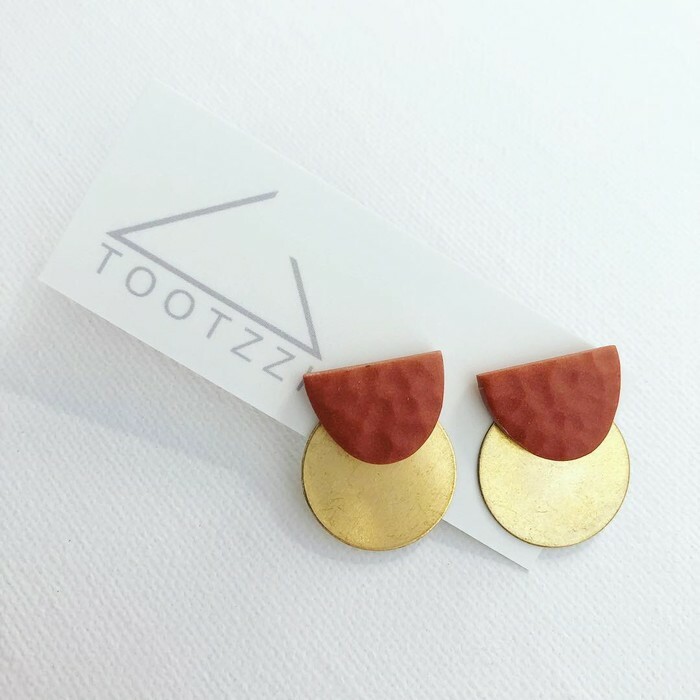 The polymer clay Eclipse Stud is coupled with a removable gold disk that can be worn one of three ways -> in front of the lobe, to the back of the lobe or removed completely! Yep, these little hotties go three ways! A dressy all rounder with a beach babe feel. Aussie Customers - Spend $50 or more in one transaction and use the code "FREESHIP" to receive complimentary shipping Australia wide!! Alternatively, all orders are sent via Australia Post's Letter Service for $5, unless the Express Shipping method is applied. If you would like Tracking and faster delivery, please use the Express Shipping option which is a flat rate of $10. International Customers - Items are sent as Economy via Australia Post and cost $7 per item. + Approx size: polymer earring is 17mm x 12mm, disc is 19mm in diameter. + These studs are designed and handmade (on the Sunshine Coast, Australia) from polymer clay and coupled with surgical stainless steel posts and clutches (nickel free/lead free/hypoallergenic). + tootzzi's guarantee: No two items are the same! + This item is water resistant, but to enjoy for many days to come, avoid contact with water and remove before sleep. Bank Deposits must be made within 24 hours of purchase. Thank you.